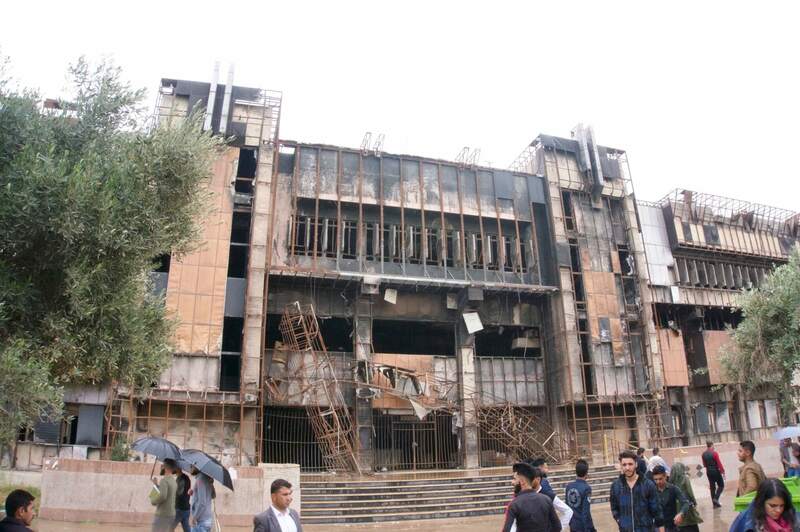 The University of Mosul’s library, once a hub of student activity and learning, is now derelict and possibly beyond repair (Photo: Benjamin Plackett). MOSUL, Iraq—On a bookshelf at the University of Mosul sits George Orwell’s dystopian novel about perpetual war and propaganda, Nineteen Eighty-Four. It’s one of the few books that survived the burnings carried out by the Islamic State during the three years it controlled the city. Every building on this vast campus has been scarred in some way. Many have been completely destroyed and most that have been left standing are riddled with bullet holes. Nevertheless, the campus seems to have a can-do spirit; departments that were spared destruction are lending space to those that were not. That’s true for the university’s president too. Obay al-Dewachi’s office was levelled during the occupation so he and his staff are temporarily housed in the university’s center for remote sensing research. Pro-government forces ousted the Islamic State from Mosul more than a year ago, but the city is still not entirely safe. The entrance to the university is guarded by a SWAT team from the Iraqi Army. Visitors are questioned, their credentials are checked, and the undercarriages of vehicles are searched for explosives before they can enter the campus—car bombs are still a regular threat in the city. 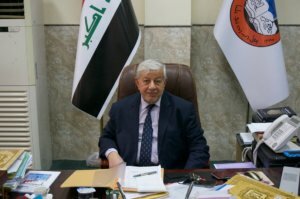 Obay al-Dewachi, the University of Mosul’s president, says its main challenge is physical infrastructure (Photo: Benjamin Plackett). When the Islamic State took Mosul in June 2014, many students fled to Kurdistan, a semi-autonomous region inside Iraq. Approximately 30 percent of students moved either north to Duhok, east to Erbil or south to Kirkuk, according to al-Dewachi. The students who left continued their studies at makeshift branch campuses, while the students who stayed behind had to pause their education until the city was liberated in July 2017. “A lot of the lecturers and myself also spent three years in the Kurdistan region,” says al-Dewachi. Mosul is a city of two halves, separated by the river Tigris. The East side—known locally as the left side—where the university campus is located was the first to be liberated. When al-Dewachi returned along with the first wave of professors, ISIS was still holding its positions on the other side of the river. There is almost nothing left of the older right side of Mosul—street after street is under rubble, still to be cleared. A typical street on Mosul’s older side, west of the Tigris (Photo: Benjamin Plackett). “When we first came back, there was no electricity, no water and there was still fighting in the right [west] side of the city,” remembers al-Dewachi. No official statistics have been kept on the number of professors who have returned, but al-Dewachi estimates the vast majority, close to 90 percent, are back working at the Mosul campus. Others agree with him. Of eight professors interviewed, all said most of their colleagues were back on campus and guessed a percentage in line with al-Dewachi’s. Hekmat Subhi al-Daghastani is the director of the remote sensing center, which is currently hosting the university’s president. His lab still has the devices needed to carry out research because he snuck into the university during the ISIS occupation and removed the computers, cameras and expensive instruments that measure the reflections of rocks and minerals. He hid them off-campus in his house at great personal risk so that when ISIS left, he could restart his work from the point when he was forced to stop. “This at a time when it was dangerous to take paperclips from the university,” he laughs. Along with the equipment, all the professors in al-Daghastani’s department have now returned. These two students commute to the University of Mosul from Duhok as they feel Mosul is not safe (Photo: Benjamin Plackett). 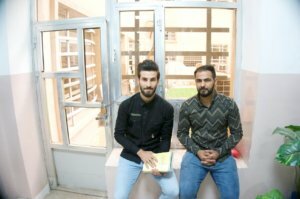 Immediately after Mosul’s liberation, when the security situation was much worse than it is today, the university allowed minority students such as Christians and Yazidis to carry on studying in Kurdistan, but that came to an end this academic year. 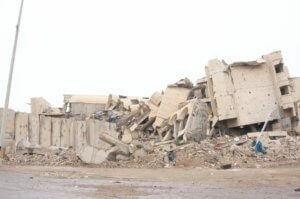 If they wished to continue with their degrees, they had to return to the main campus at Mosul. Most staff members have also returned their posts in Mosul because they faced a similar policy: if they wanted to get their salary, they had to come back. Asmaa al-Khattab, head of the education department at the University of Mosul, moved to Duhok during the occupation and now commutes back and forth. “It wasn’t difficult to convince us to come back as the Duhok and Kirkuk branches closed,” says al-Khattab. “The biggest challenge is the state of the physical buildings and not human resources.” Some students also commute from Duhok, saying it is a safer place to live. A few universities in the United States have offered collaborations to help train researchers and professors at the University of Mosul, but Mason says these offers haven’t necessarily been embraced by the university. Nehad Mohammed, assistant dean of the College of Arts, says she is always ready to evacuate again if necessary. “We have a packed suitcase with essentials to be ready to leave at a moment’s notice,” she says. Other professors at Mosul feel the same. 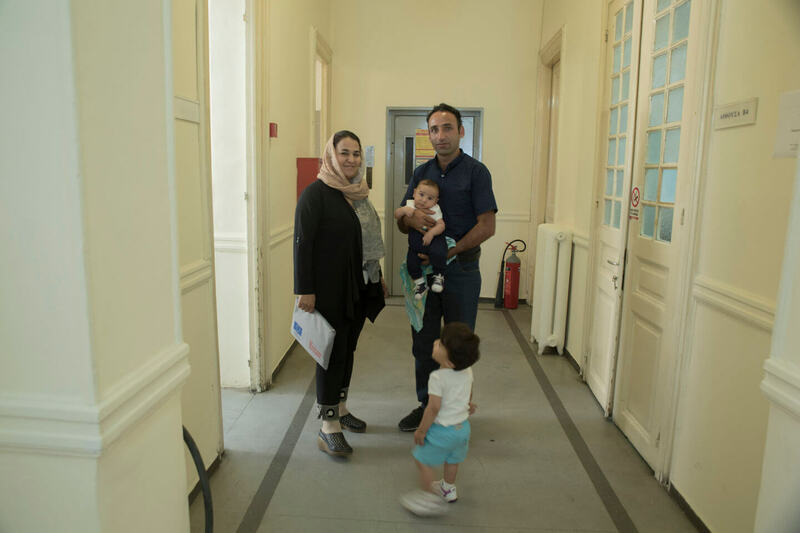 “I am still scared with this feeling of worry that they will return, and we will be on their blacklist as university professors,” says Hala Najim, head of the translation department. The message from al-Dewachi, though, is clear; his university has the students and it has the teachers, but it desperately needs the buildings and investments to get back to its former glory.